Tashly Consulting has now reached Receipt Bank Silver Partner! Receipt Bank the #1 pre-accounting tool for accountants and bookkeepers. No more data entry. No more paper. Just more time doing what you love. Spend less time on manual tasks and more time adding value for your clients. Discover the benefits, Working smarter, Growing faster and Going further with Receipt Bank. 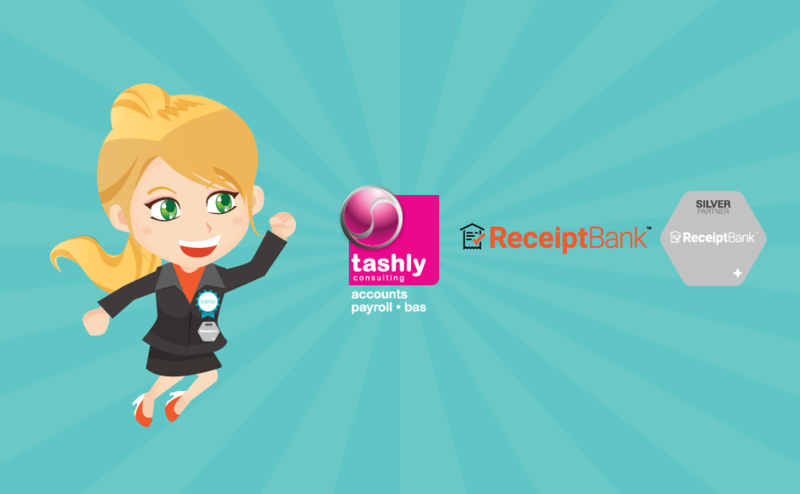 Our partnership with Receipt Bank is an example of how Tashly Consulting uses new technology to help our clients grow their businesses! If you would like a further information about a Receipt Bank account please contact us via telephone 0413 631 909 or via email. Tashly Consulting – Not your average Bean Counter! Disclaimer: All or any advice contained in this blog/newsletter is of a general nature only & may not apply to your individual business circumstances. For specific advice relating to your specific situation, please contact your accountant or other professional adviser for further discussion.